Maria Anastas is a traditional labor law expert and former NLRB attorney. The overwhelming majority of her practice is focused on representing employers before the NLRB and during union organizing drives, corporate campaigns and collective bargaining. She has earned a national reputation for handling hundreds of union organizing drives. Maria has a broad range of experience handling traditional labor law matters in virtually every industry, including healthcare, manufacturing, warehousing, retail, hospitality, service sector, maritime, trucking and higher education. 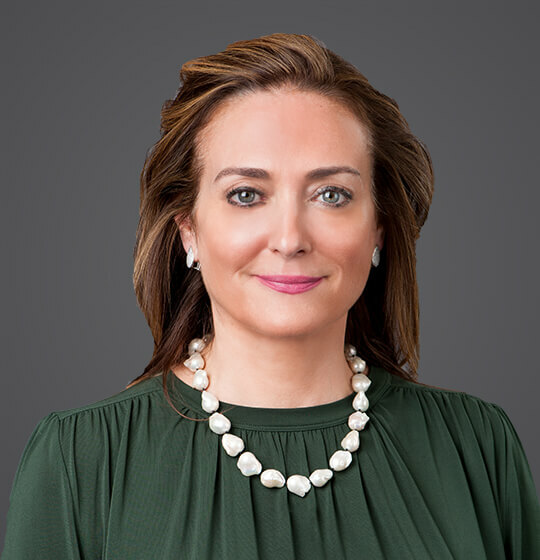 Maria is a member of the firm’s traditional labor practice steering committee and speaks extensively at firm and other conferences regarding labor law developments and her significant expertise handling a wide range of traditional labor matters in California and other states. Maria has handled over 100 union organizing drives since 1995 and has earned a national reputation for her high rate of success and her low rate of unfair labor practice charges during campaigns. She has also negotiated dozens of collective bargaining agreements. In addition to her union campaign expertise and collective bargaining for initial and successor labor agreements, Maria handles representation case hearings and unfair labor practice trials before the NLRB, labor arbitrations including high-value contract interpretation and discipline cases, strikes, picketing and labor relations training. She provides labor advice to employers in a variety of industries concerning such special issues as establishing new operations, plant relocations, effects bargaining, reductions in force and orderly shutdown agreements. Maria works with employers of all sizes to develop strategic labor initiatives and long-range strategies, and guides management in creating employee engagement to support a productive and issue-free workplace. November 23, 2015 - Law360 - "The Do’s And Don’ts For Your Law Firm App"
December 15, 2014 - Daily Journal - "Labor Board Issues Another Union-Friendly Ruling"
March 15, 2013 - Human Resource Executive - "Voters Decide Battle for Better Wages"
July 2011 - Workforce Management - "Heightened Union Activity Putting HR on Notice"
Michelle’s Law provides that a group health plan that offers dependent coverage and conditions that coverage upon status as a full-time student may not terminate the dependent’s coverage when the dependent ceases to meet the “full-time” criteria due to a “medically necessary leave of absence.” This law is intended to protect parents of college students who lose “student status” due to illness from the financial burdens of COBRA.